This graceful frame and panel cabinet is made from cherry and maple. The entire cabinet is solid wood featuring traditional mortise and tenon construction. The doors are smartly hung with brass knife hinges. 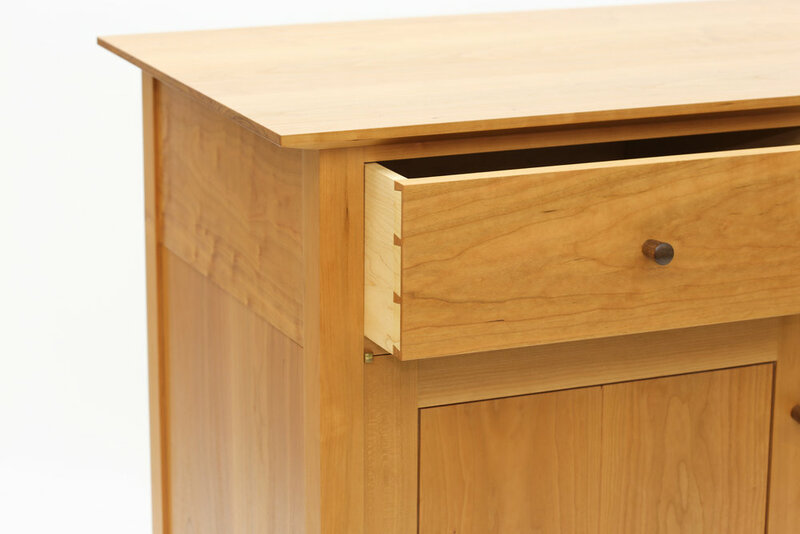 The piston fit drawers are dovetailed at all four corners. I turned the knobs from Guatemalan Mora and attached them to the drawers and doors with through wedged tenons. The piece is finished with shellac inside and an oil and varnish blend on the outside. This piece won an award sponsored by the Society of American Period Furniture Makers at the 14th Annual Texas Furniture Makers Show in 2013. This piece was also featured in Fine Woodworking Magazine.